New. Trade paperback (US). Glued binding. 146 p. In Stock. 100% Money Back Guarantee. Brand New, Perfect Condition, allow 4-14 business days for standard shipping. To Alaska, Hawaii, U.S. protectorate, P.O. box, and APO/FPO addresses allow 4-28 business days for Standard shipping. No expedited shipping. All orders placed with expedited shipping will be cancelled. Over 3, 000, 000 happy customers. Fine. Trade paperback (US). Glued binding. 146 p. In Stock. 100% Money Back Guarantee. Brand New, Perfect Condition, allow 4-14 business days for standard shipping. To Alaska, Hawaii, U.S. protectorate, P.O. box, and APO/FPO addresses allow 4-28 business days for Standard shipping. No expedited shipping. All orders placed with expedited shipping will be cancelled. Over 3, 000, 000 happy customers. New. Trade paperback (US). Glued binding. 146 p.
New. Trade paperback (US). Glued binding. 166 p.
New. 6057876792 Special order direct from the distributor. The writings of Plato can be quite an inspiration to anyone's life. While other ordinary books suggest a hazy picture of a philosophy, Plato delineates a detailed image of the simpleste things we view and feel in life. This is one of the few books I read in Greak Civ that I really liked. The language can be a bit rough to understand in parts, but this is truly on interesting book. This is more a book to read and debate with friends. Plato brings up many points that are important even in today's world. 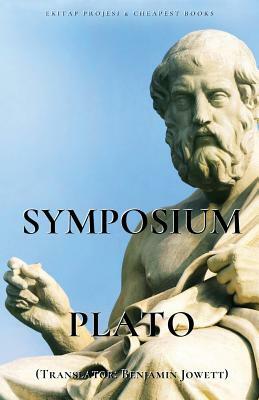 This is not a quick read, but it is well worth the time to read Plato's brilliant work.